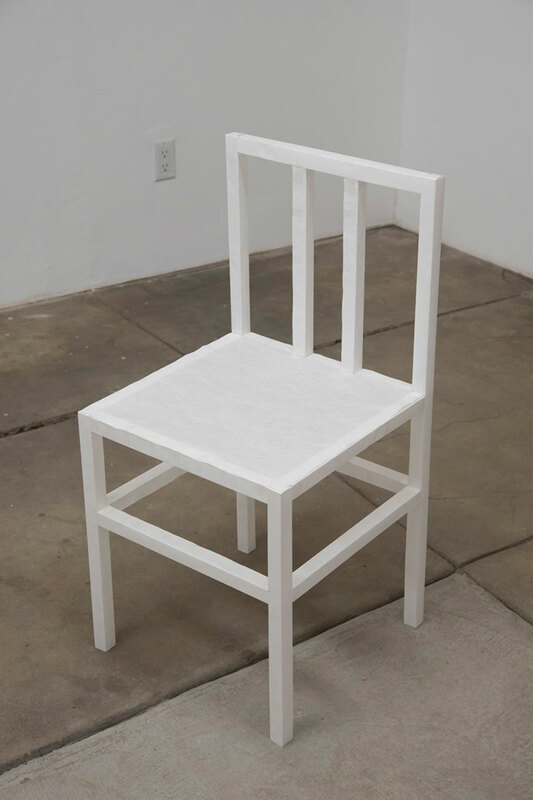 Chair #4; 2018; butcher paper, tape; 32 in. x 16 in. x 16 in. 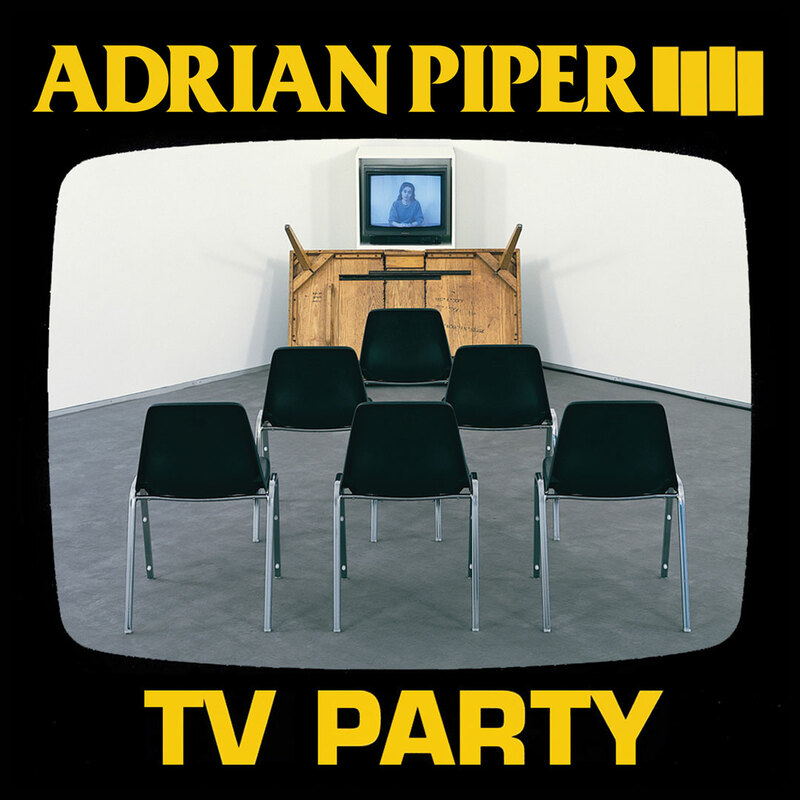 Adrian Piper: T.V. 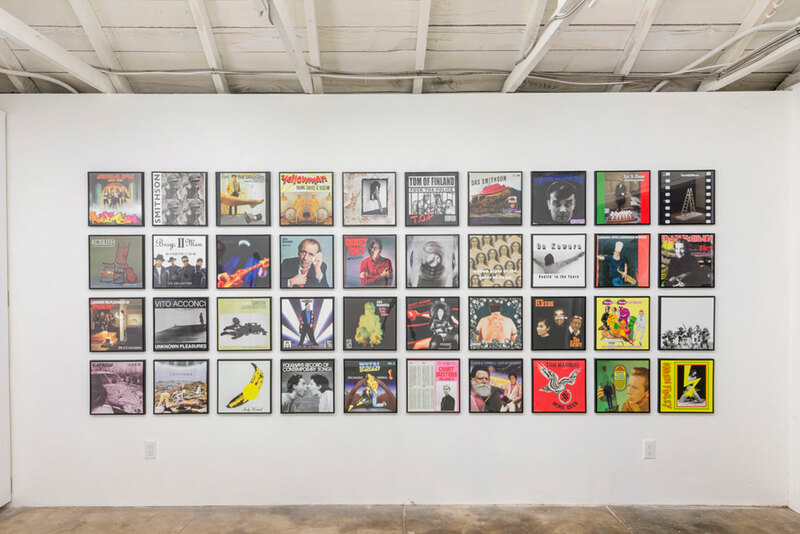 Party (from Albums by Conceptual Artists); 2015; digital offset print; 12⅜ in. x 12⅜ in. 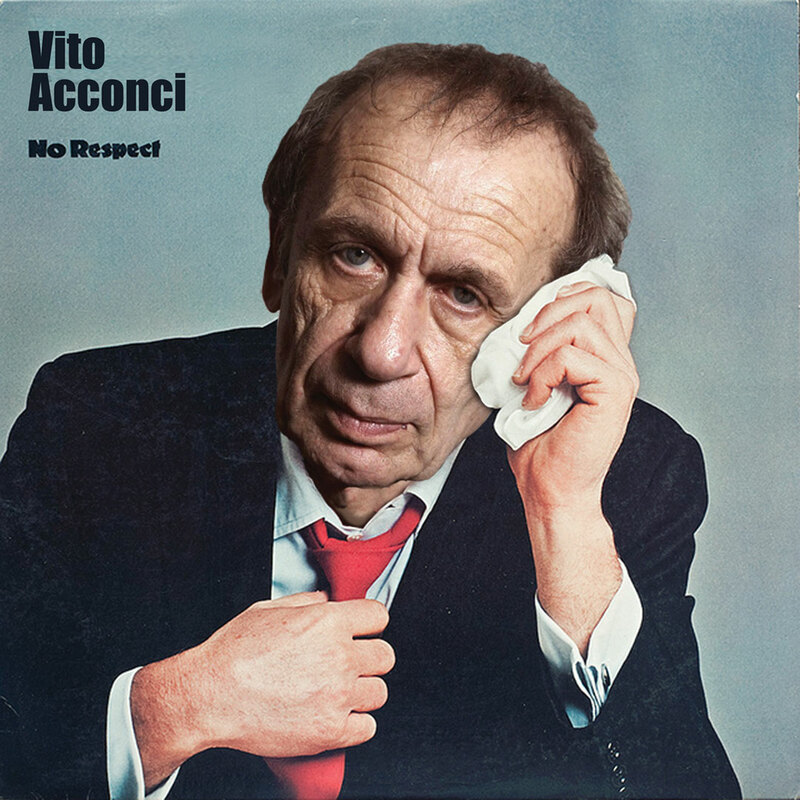 Vito Acconci: No Respect (from Albums by Conceptual Artists); 2015; digital offset print, 12⅜ in. x 12⅜ in. Trampled Under Foot: Ultimate Zeppelin Setlists (detail); 2015; paper, sharpie, duct tape; 121 in. x 88 in. 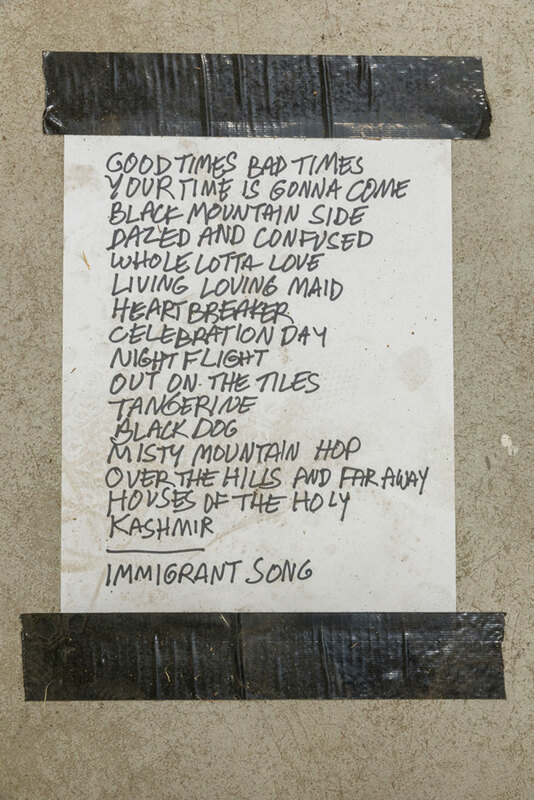 Trampled Under Foot: Ultimate Zeppelin Setlists; 2015; paper, sharpie, duct tape; 121 in. x 88 in. 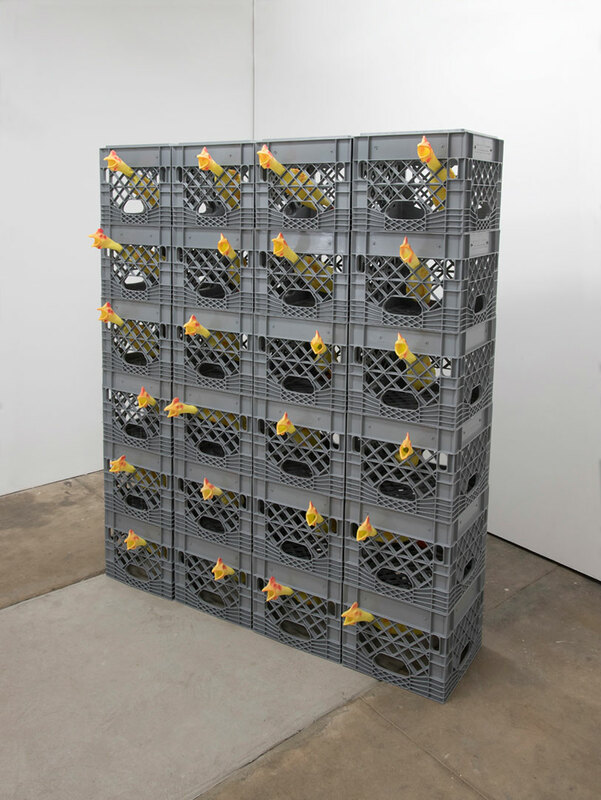 Rubber Chickens and Milk Crates; 2018; rubber chickens, milk crates; 66 in. x 52 in. x 18 in. 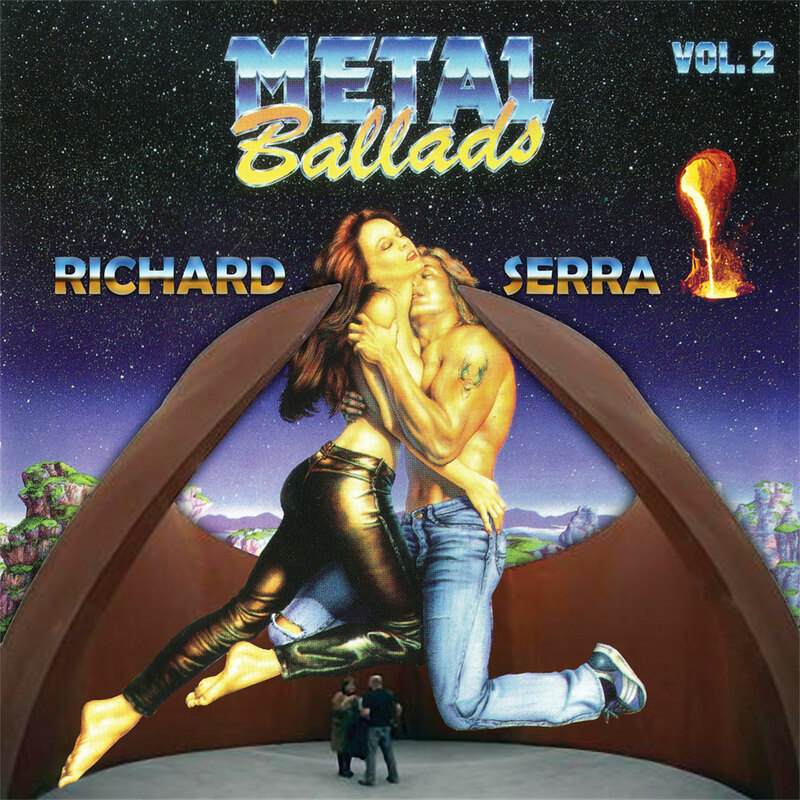 Richard Serra: Metal Ballads Vol. 2 (from Albums by Conceptual Artists); 2015; digital offset print; 12⅜ in. x 12⅜ in. 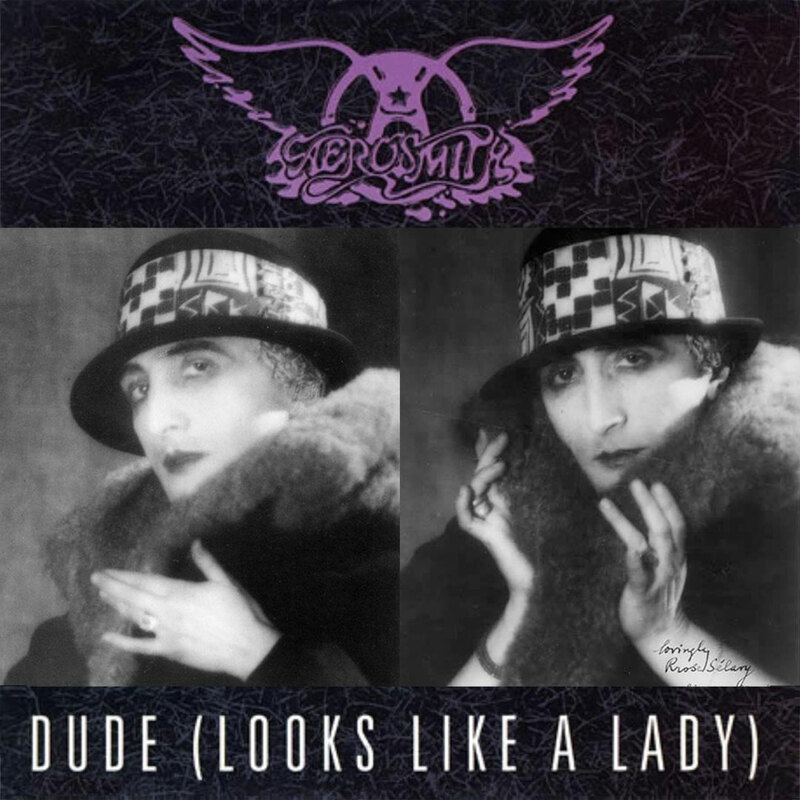 Marcel Duchamp: Dude Looks Like a Lady (from Albums by Conceptual Artists); 2015; digital offset print; 12⅜ in. x 12⅜ in. 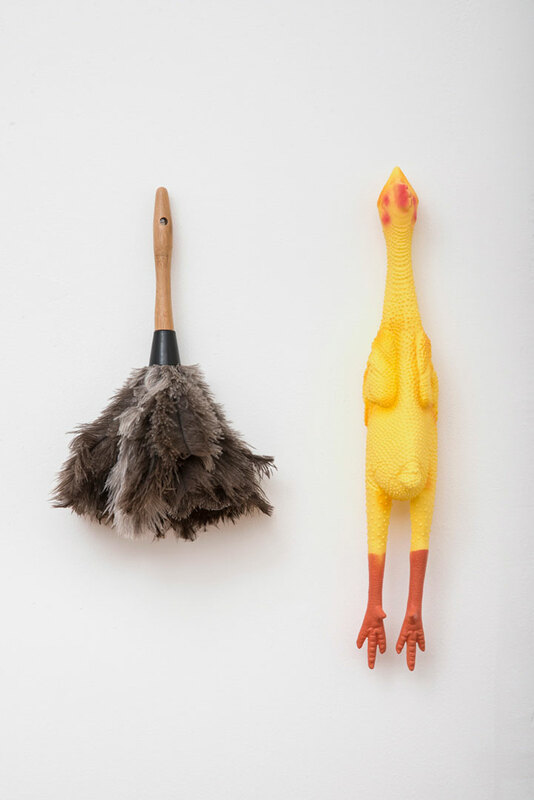 Feather Duster and Rubber Chicken; 2018; feather duster, rubber chicken; 19 in. x 15 in. x 8½ in. Dead Comedians; 2018; photographs of famous comedians who have died from Lenny Bruce to the present through receipt spike; 7 in. x 7 in. x 7 in. 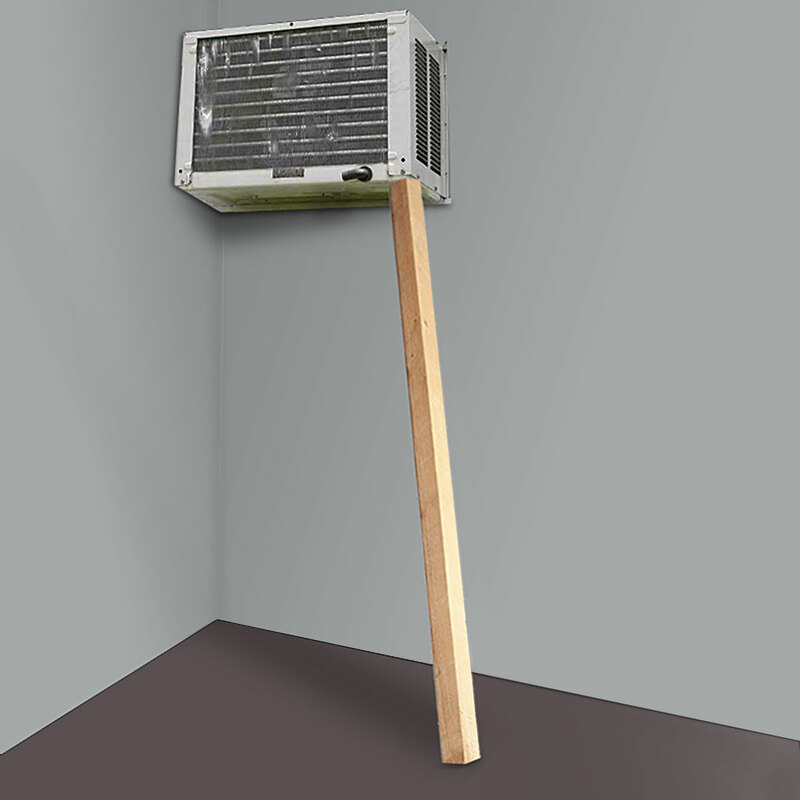 Corner Prop (Study); 2014; digital offset print; 8 in. x 8 in. 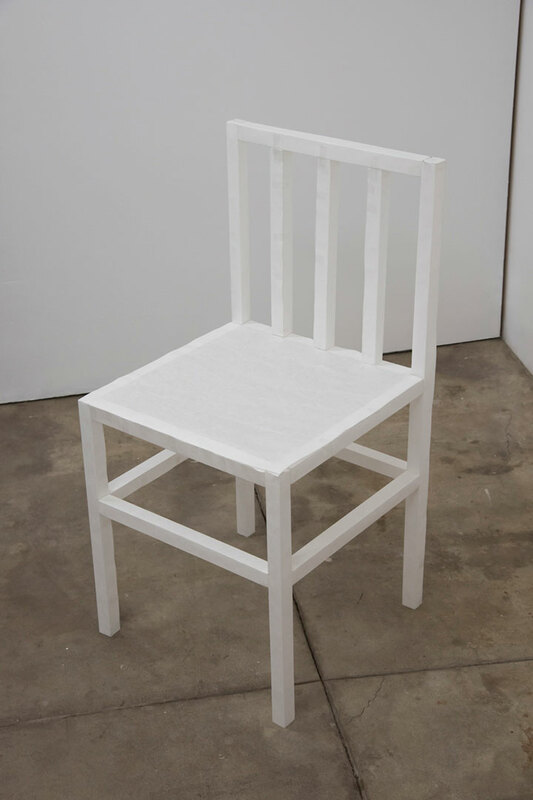 Chair # 6; 2018; butcher paper, tape; 32 in. x 16 in. x 16 in. Chair # 5; 2018; butcher paper, tape; 32 in. x 16 in. x 16 in. Growing up in the 1970s, I lived for comedy that trafficked in parody and irreverence: The Carol Burnett Show, Mad Magazine, Wacky Packages, Dean Martin’s Celebrity Roasts, and Norm Crosby. In my first year of college I saw Vito Acconci lecture and decided to become an artist. 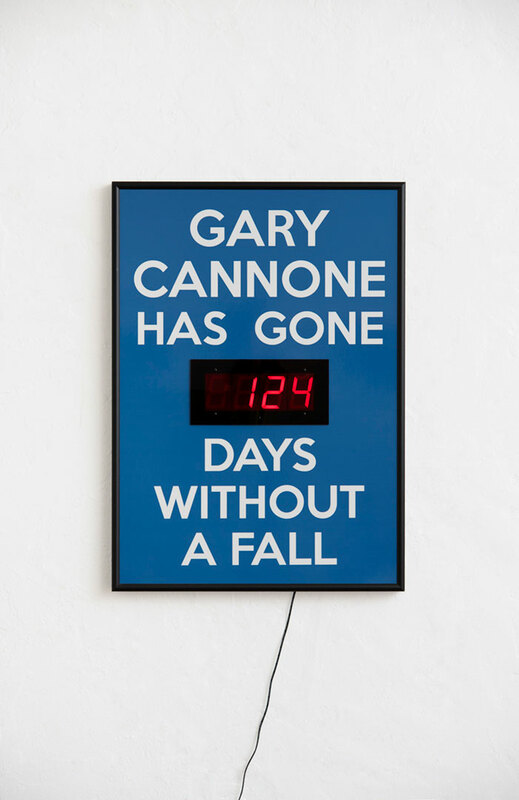 Many of my projects have encouraged communal acts of parody, most notably the crowd-sourced series Albums by Conceptual Artists. 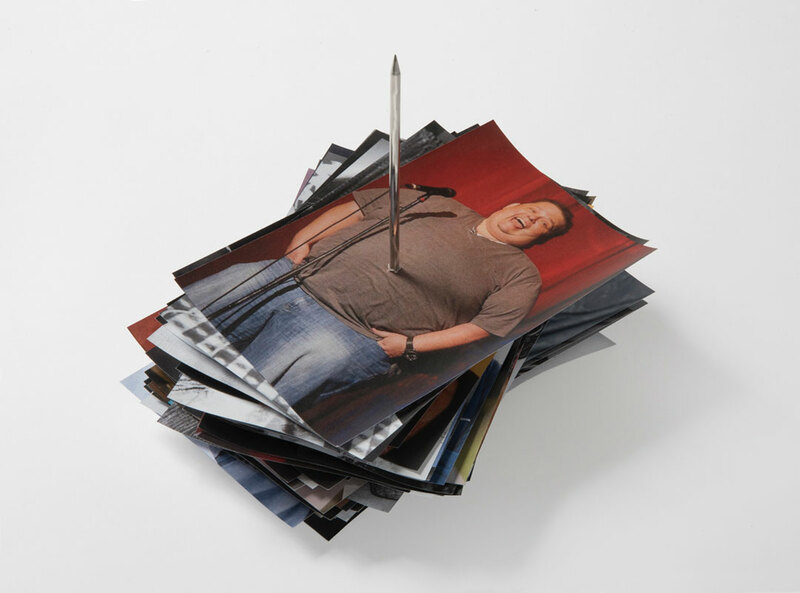 More recent work flirts with the bureaucratic aspect of minimal and conceptual art with the deft touch of a prop comic. 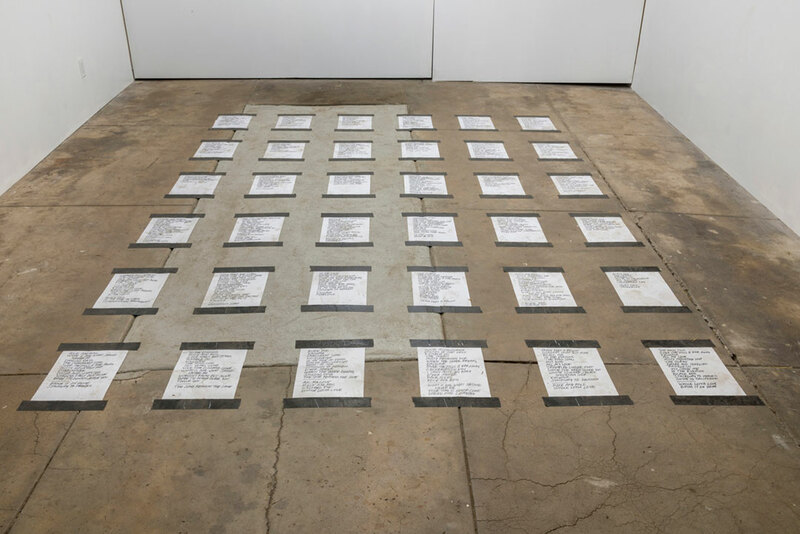 The resulting body of work explores fragility, instability, malfunction, humiliation, torture, and death. 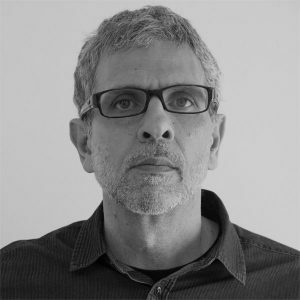 I was diagnosed with Multiple Sclerosis in 2013, and this transformed my practice into one more focused on physicality and its limits. 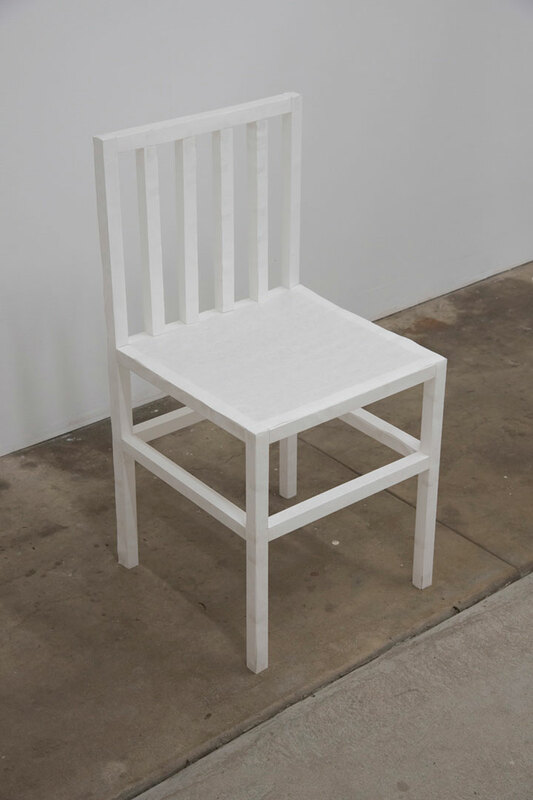 For example, I have been fabricating chairs out of butcher paper and scotch tape for gallery spaces. Practically weightless, they encourage the visitor to sit down while contemplating the surrounding art, but to do so would lead to disaster. They act like conceptual banana peels on the gallery floor.